Early critical foundational training and helpful owner education that will get your puppy get a “head start” on living a well-adapted, healthy and balanced life in our domesticated world are the focus of Whole Dog University’s Early Puppy Development Program. At Whole Dog University, we offer training options that work around your busy schedule. 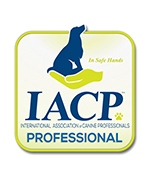 Training is done at our Training and Education Center or upon request, in your home. (Phone consult services are available for dog owners in N. Mississippi). Regardless of breed, each dog has it’s own personal challenges. The good news is that the majority of behavioral problems can be resolved or at least improved with obedience training, but for those that can’t, we work with you on an individualized behavioral plan. I cannot say enough wonderful things about Ruth! Our German Shepherd isn’t the same dog as when I dropped him off. Ruth never gave up on him, and he is now enjoyable to be around and not so out of control. Thanks Ruth!! There are not enough words to describe how wonderful our first visit with Ruth went. We learned so many valuable lessons today and walked away feeling excited and encouraged. We cannot wait to go back. Look no further, Whole Dog University is the place to go. Super . Ruth works one on one with these dogs. Very proud of what my dog accomplished. Whole Dog University, LLC is a Professional Dog Training and Education business located in Lebanon Ohio, dedicated to serving the greater Warren County area and surrounding communities. Founded in Tupelo, Mississippi in 2011, Whole Dog University began operating in Ohio in early 2017. It is really important to recognize that if you have a dog, you are already training him/her. The question is, are you training it for “good” behaviors or for “bad” behaviors (intentionally or unintentionally)? Every day, every move we make, they are watching and learning – they truly miss nothing. That’s why we, as owners, must be intentional about what we do with and for our dogs from the moment we bring them home. At WDU we recognize that each dog is individual and unique, with his / her personality, level of intelligence, temperament, quirks and issues. 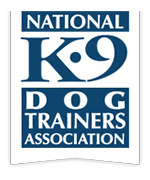 Understanding this, we customize all our training to accommodate your individual dog. Before any training begins, an in-depth, comprehensive one-on-one consultation is done with you and your puppy or adult dog. Our mission is to serve and honor God by loving and serving others as we help dog owners develop a more meaningful relationship with their puppies and/or adult dogs through top notch training and education. We do this with a high degree of skill, professionalism, integrity, honesty, patience and care. Investing in the individual lives of dog owners and their beloved dogs is something that is very important to us. With each client we serve, we invest a lot of ourselves personally in each person and their puppy/dog. You become like family to us.